UFC 207 was everything the world hoped for to end 2016. It had trash talk, drama, a fight change, and the most talked about comeback in the sport. This UFC 207 card kept us on our toes. We thoroughly enjoyed the entire UFC 207 experience; from weigh-in to the final knockout, we had the best seats in the house for everything. 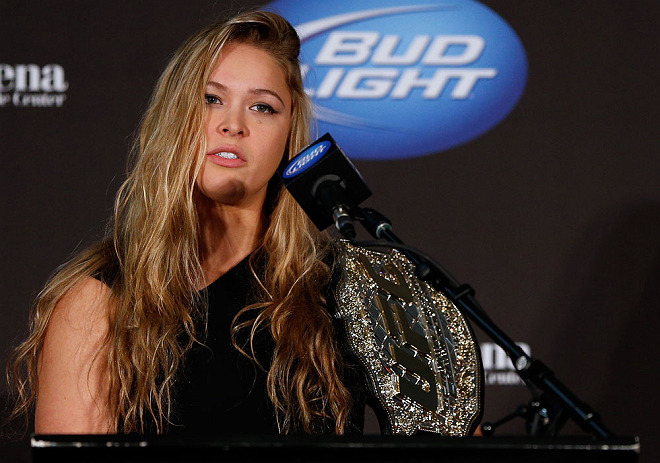 It is finally here, not Christmas– the return of Rousey! As a female, I’m all about the girl power that is Ronda Rousey. As a UFC Fan, I’m all about the fight we’re about to see. UFC 207 will be one for the records. Like every major fight since Rousey lost her title last December, we’re hoping for a massive shake-up of titleholder. We’re giving you a breakdown of our predictions for UFC 207. We’re just 47 days away from Christmas. Can you believe it? This year has flown by and we’ve seen some incredible fights. UFC 196 shocked the world and Conor McGregor. UFC 200 was out of this world with the return of Brock Lesner. UFC 202 was the most hyped fight of the decade. UFC can now fight in New York. The UFC is now partially owned by several famous people. This year has been the year to be a UFC fan. Several belts have changed hands, water bottles have flown, and Ronda Rousey has remained silent –until now. UFC 207 is going to be the fight of the year. This will make the perfect Christmas present for any UFC lover. We’re giving you three reasons to give the gift of UFC this year. The UFC is back in Las Vegas to ring in the new year in style! UFC 207 is going to be the comeback fight of the year as Ronda Rousey takes on Amanda Nunes. We’ve all been impatiently waiting for this fight and this moment is going to be one we remember forever. It’s been too long Ronda, too long.